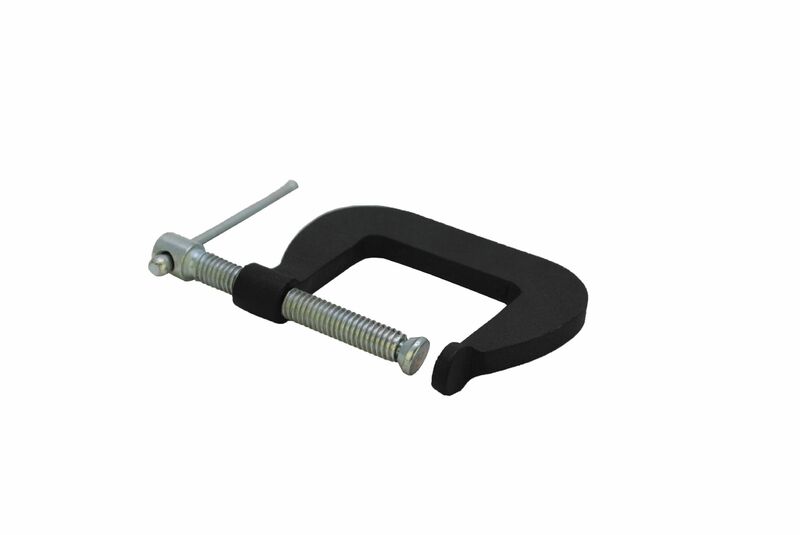 Forged steel C-Clamp, 1-1/2" or 38mm max. opening. Tough enough to use in a variety of aircraft/aerospace, pattern making, and light industrial applications. The tough powder-coated forged steel body and zinc-plated steel spindle stand up to the rigors of everyday use and abuse, and have excellent corrosion resistance.